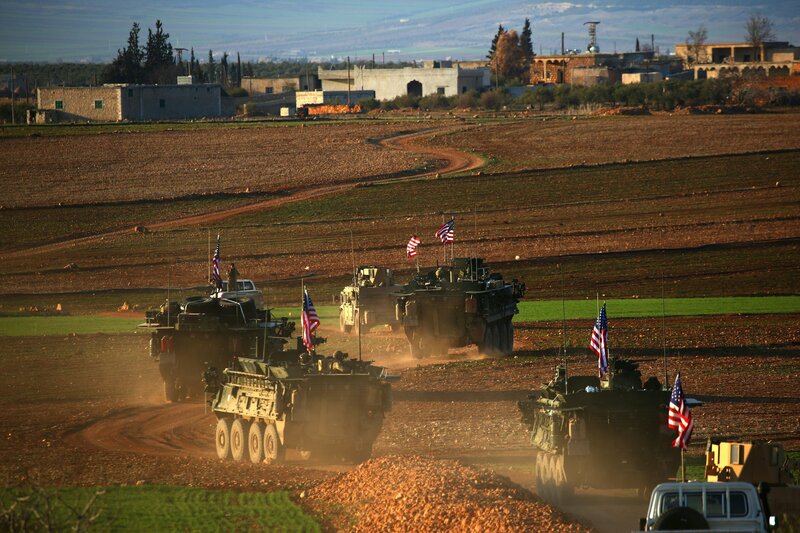 The United States will not pull its troops out of the area of Manbij in Syria to allow a Turkish invasion, and the area is a “red line” that the United States will not allow Turkey to cross, U.S. magazine Newsweek said. “As the complex politics of northern Syria's battlefield erupted into bloodshed between two U.S. allies, Central Command Commander General Joseph Vogel told CNN Monday that withdrawing his troops from nearby Manbij was ‘not something we are looking into’, even as Turkey threatened to advance into the Kurd-controlled city,” the magazine wrote. Manbij was taken from the Syrian government by opposition forces in 2012, then captured by the Islamic State (ISIS) in 2014 before being taken over by the majority-Kurdish People’s Protection Units (YPG) supported by the United States in Summer 2016, the magazine said. Turkey sought to take over the area together with its proxies in the Free Syrian Army (FSA) later that year, but the United States and Russia both deployed troops to protect the area, it said. If Turkey does invade Manbij, it could find itself once again on its own against a similar makeshift coalition. “Like the U.S., Russia has largely stayed out of the fight between Turkey and the Kurds, seeking to maintain relations with both,” Newsweek said.